Operations and maintenance are the activities related to the performance of routine preventive, predictive, scheduled, and unscheduled actions. The aim of O&M is preventing equipment failure or decline with the goal of increasing efficiency, reliability, and safety. 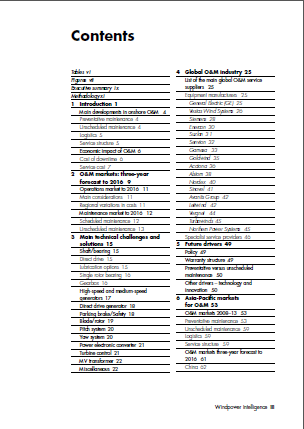 This new report from Windpower Intelligence forecasts the demand for wind power O&M globally, broken down by country, region and service type to 2016 and provides suppliers to the market with intelligence crucial to business planning. 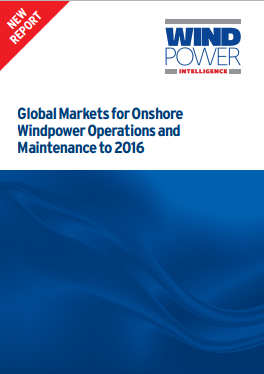 As onshore wind installed capacity continues to grow, so does the operations and maintenance (O&M) market associated with it. In recent years, turbine manufacturers have become increasingly involved in O&M, frequently offering comprehensive packages at point of sale that cover turbine maintenance for up to 15 years. In some cases turbine manufacturers outsource their logistics operations to specialist companies and rely on local repair contractors for specific components such as blades, rotors and gearboxes. With O&M costs estimated to account for as much as 20% of the generation costs of onshore wind, there is strong pressure on the industry to bring them down. Scheduled maintenance accounts for the largest portion of costs. 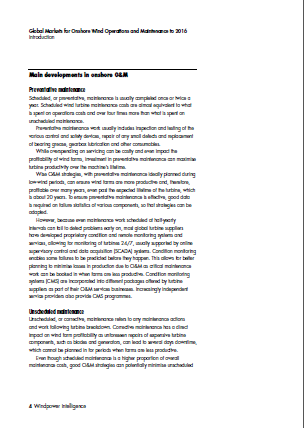 However, correct preventative maintenance regimes can safeguard and even extend the operational lifetime of a turbine. O&M plays a critical role in reducing the cost of energy generated by wind farms another crucial battle for this industry. 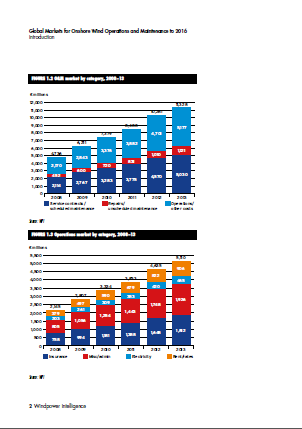 In addition, the O&M market is a key revenue opportunity for turbine manufacturers faced with fluctuating demand and competitive pressure on the price for their equipment. 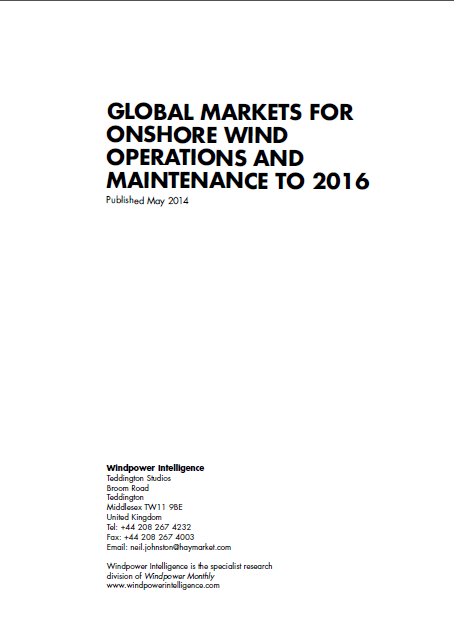 In order to estimate the O&M market for onshore wind, we engaged our experts in assessing the relative weighting of operations costs – including rent and rates, insurance, electricity and administration, among others – against maintenance costs. The latter were also divided into scheduled and unscheduled maintenance and itemised according to the individual component or group of components the costs relate to. Regional variations were accounted for to some extent. For example, rent/rates were nearly twice as much in Europe as in the Americas or Asia-Pacific in percentage terms. When estimating costs for macro-regions, consideration was given to the relative amount of installed and pipeline capacity, which means, for example, that percentage costs for Europe, Middle East and Africa were largely dictated by our estimate of the same costs for Europe.